Nicolas-Kirti Scholtes (Class of 2006) just completed his PhD in Economics at the Université Catholique de Louvain and Université de Namur with the thesis Interbank networks, macroprudential policy and financial stability. 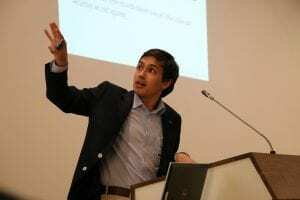 He has been researching since 2013 while working as a PhD Trainee at the European Central Bank. Nicolas’ research interests lie at the intersection of network theory, financial stability and monetary policy. Most of his work features a strong computational dimension and can be found on his page. Nicolas also holds a Bachelor in Chemical Engineering with McGill University, Canada and a Masters of Science in Economics with Université Catholique de Louvain, Belgium. 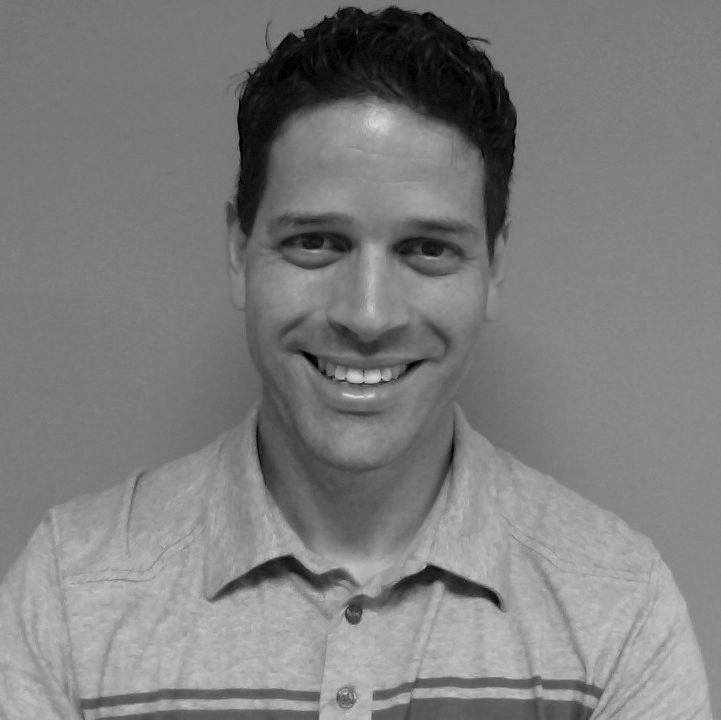 Dave Caleb (Alumni Faculty/Staff) and his colleague Nicole Tripp recently published Developing Number Strategies, an ebook that aims to help both parents and teachers better understand a whole range of mental math strategies. Mathematics is about creativity, making connections and reasoning. Students need to learn how to be flexible in their thinking and to understand that there are many different ways to arrive at a solution rather than just focus on fluency and accuracy and follow strict procedures to find a correct answer to an equation. It was originally a project to support Mathematics learning of Dave’s current school community. Dave and Nicole are excited to share the book with the world as a free resource to help students, educators and parents everywhere with mathematics understanding. Developing Number Strategies is a multi-touch ebook and can be viewed on iPad or Mac computer using iBooks. This is Dave’s most recent published project in his series of books on utilizing technology/photography to support teaching and learning. Hazel’s first published piece of work is Right Between the Eyes, a short story that was published in the Copperfield Review in August 2017. 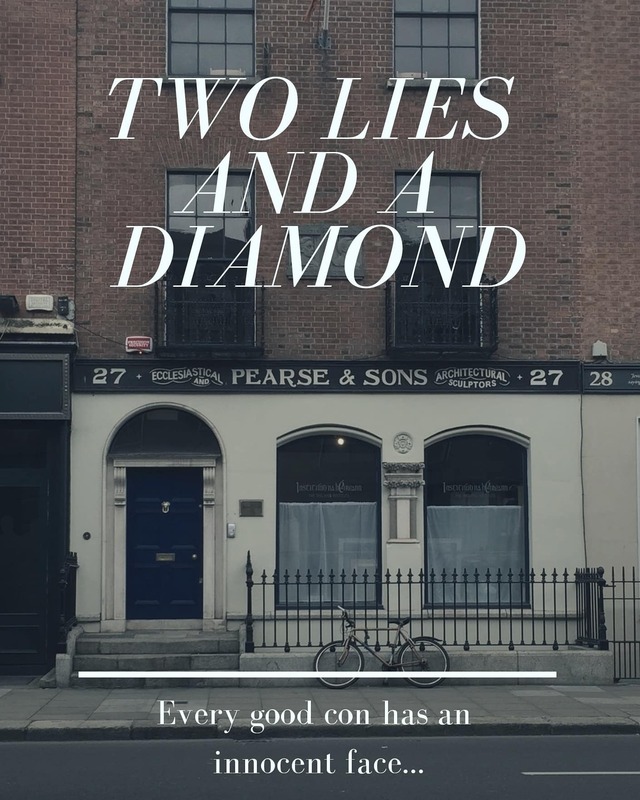 Hazel also won a commendation prize in the Irish Times’ Read the Africa Day 2017 Writing Competition with her short story Drumming, which was based on her experience living in both Ghana and Ireland. Anna Muehlichen (Class of 2012) is working for Igloo Music Studio, a Grammy winning sound recording facility in Los Angeles, USA. 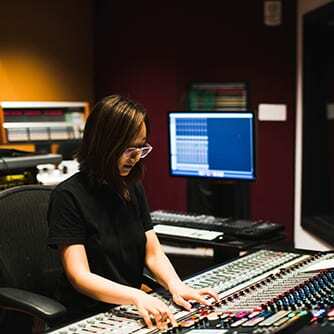 She recently worked as Assistant Audio Engineer at the recording session of the score to the highly anticipated superhero film, Deadpool 2. Composed by Tyler Bates, the score featured a 80-piece ensemble of the Hollywood Studio Symphony and a 34-person choir. “This was my first time in a scoring session of this size and it was absolutely indescribable. It was an absolute joy and huge learning experience to watch and assist the audio engineers of Igloo Music,” Anna shares. 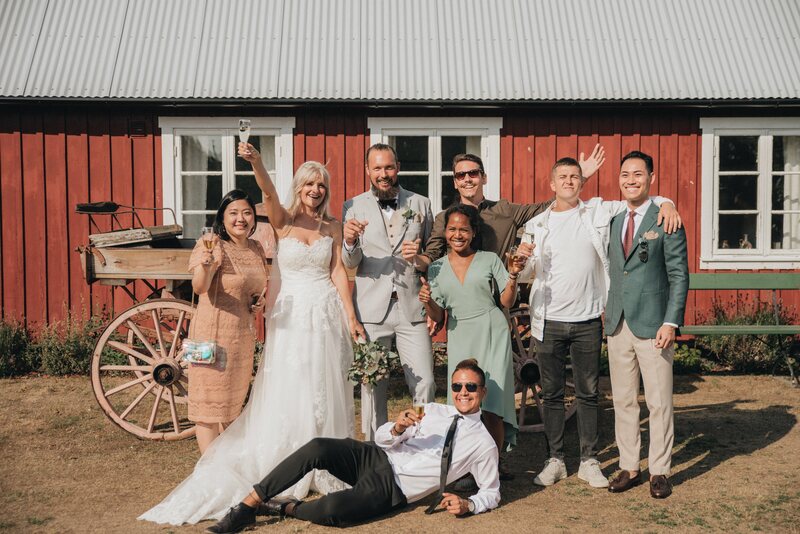 The UNIS Hanoi Class of 2009, Jessica Penrose, Duc Le, Gustav Laursen, Kenneth Benitez and Yena Kwak, had a mini reunion this Summer in Sweden in the occasion of Frida (Ahlsen) Hallin’s (Class of 2009) wedding. The friends, who have known each other for 15 years, and some of whom hadn’t seen each other for 10 years, spent many nights talking about memories and sharing stories of UNIS, from the old campus to the current. Frida was at UNIS Hanoi from Grade 6 to Graduation so it was a Vietnam-inspired wedding. Nem and nước chấm was served as starter and everybody had cà phê sữa đá with the wedding cake. The bride and groom Johan Hallin and the guests also danced Múa sạp with bamboo sticks brought from Hanoi. When the party was almost over, bánh mì was served to partygoers who had been dancing all night long. Frida and Johan had their honeymoon wild camping in Sweden, almost living off of nature, but they also hope to return to Vietnam in the future for a second honeymoon. Frida is working and living in Halmstad, Sweden. Kimberley (Kim) Knaggs (Class of 2017) has just finished her first year studying Law at the University of Birmingham, and is a member of the university’s slam poetry team. 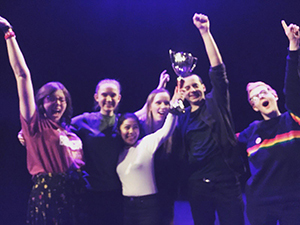 Together they placed first out of more than 20 teams at UniSlam (the UK’s university slam) and as a prize, received the opportunity to perform at the Royal Albert Hall in the prestigious UK slam, Hammer and Tongue. The team also competed at CUPSI, an American collegiate slam held in Philadelphia, and were very excited to have experienced the American slam scene as it is very unique and vastly different from the UK’s. As Kim begins her second year of university, she will continue to write and perform poetry in preparation for Hammer and Tongue in January 2019.